This journey in my career has been just that. A JOURNEY. I’ve been trekking upon the twists and turns of winding roads for the last 7 years with my faithful companion Jesus. This was the path He had chosen for me, not one I had imagined for myself. Early on in our journey I faced a lot of waiting. Once the waiting was over I found myself in the midst of a very uncomfortable environment. Some wondered at my plight. Why was I submitting myself to significantly less pay than my degree made me entitled to? Why was I working at a place where there appeared to be no opportunity to advance professionally? One bold soul told me flat out, “you’ll never get anywhere here; your’e never going to be anything here”. Little did they know, God had a promise He was going to fulfill through my obedience. But not before more testing, more trials, more waiting. And then…the promise land. His promise. He began to mold me and shape me into the professional He called me to be. During that testing and waiting He taught me that I work for Him. He is my Commander-in-Chief; my boss. He taught me that Intercessor is my first and foremost job title and that His kingdom is manifested throughout the world, not just in the four walls of a church building. As I grew and learned the business, His business, His vision for me began to unfold. Another degree was at hand, and He effortlessly carried me across the graduation stage. Once complete, I found myself in another holding pattern. Frustrated, angry, discouraged, again my dreams seemed put on hold. I had in fact, placed them on shelves too high to reach and take down again. I had buried them deep in my heart and wrote them off like bad debt on the accounting books of a company. Dreams to educate the black community on finances and help them walk in financial freedom. Dreams to travel and see countries I had only heard of. Dreams to obtain wealth and be able to distribute that wealth to those in need. But God did not give up dreaming. He had a plan, and once again I just had to wait for it. Wait for the open door He placed before me. And I did. Not well, but I did. And now it’s here. He blessed me with a mentor who has accomplished more than I imagined for myself. In hindsight I see that I was limiting Him. I was the typical type A, tunnel-visioned, but now I’m beginning to see the big picture. That He doesn’t just want to educate me and groom me in one field, but many, so that I am well-rounded and walking in wholeness, assisting others in doing the same. I could have walked through this open door a long time ago had I recognized it for what it was. But I didn’t recognize it because I was limited by my own idea of how things would play out in my life. Can you relate? God’s ways are so much higher than our ways; His thoughts are so much higher than our thoughts. My prayer now is to see with His eyes the doors of opportunity hidden on this path we are traveling on. 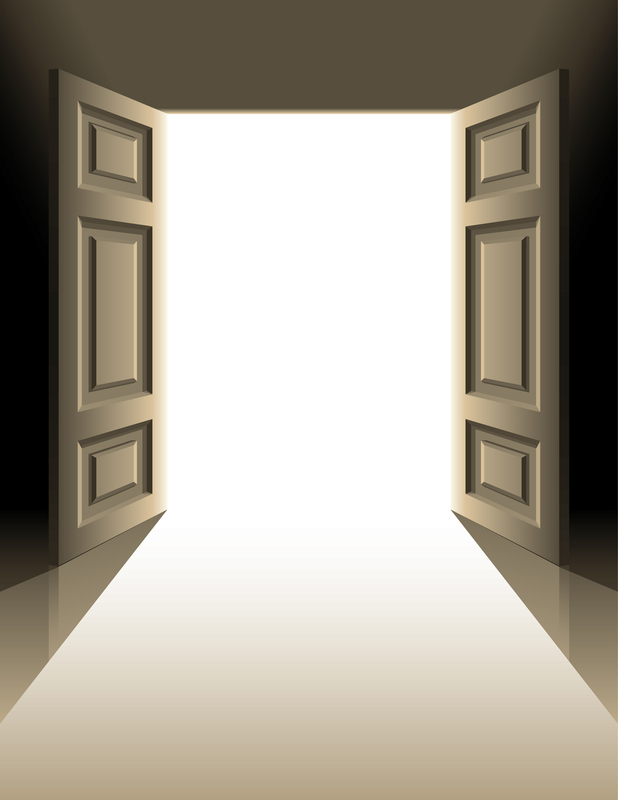 I want to walk through His open doors because when God opens a door, no man can shut it. Tonight I’ll be fulfilling a dream. I’ll be sitting across the table with a young single mother of 2, living in the inner city, probably paycheck to paycheck. And I’ll observe and learn as my mentor assists this woman in obtaining financial freedom. In a sense I’ll be sitting across the table from my own mother 20+ years ago, and her mother before her, and her mother before her. I’ll be sitting there, and I’ll be an instrument to assist them in rooting up curses in their bloodline, and planting a new legacy of wealth and wellness for their families. I’l be able to do this because thus far I’ve been equipped to do so. Before I even knew what a Financial Advisor was God was training me in this arena. I’m learning, it’s not just about me, but about those who will come after. I’m starting to see the big picture, and even better, I’m learning to dream again. What a blessing! This is such a awesome gift to enhance God’s kingdom on earth. I am very excited for this new opportunity!